Kazuo Ishiguro’s latest novel, “The Buried Giant,” is now available in paperback from Vintage Books and Anchor Books. The Romans have long since departed and Britain is steadily declining into ruin. But, at least, the wars that once ravaged the country have ceased. Axl and Beatrice, a couple of elderly Britons, decide that now is the time, finally, for them to set off across this troubled land of mist and rain to find the son they have not seen for years, the son they can scarcely remember. They know they will face many hazards — some strange and otherworldly — but they cannot foresee how their journey will reveal to them the dark and forgotten corners of their love for each other. Nor can they foresee that they will be joined on their journey by a Saxon warrior, his orphan charge, and a knight — each of them, like Axl and Beatrice, lost in some way to his own past, but drawn inexorably toward the comfort, and the burden, of the fullness of a life’s memories. “Sometimes savage, sometimes mysterious, always intensely moving, Kazuo Ishiguro’s first novel in a decade tells a luminous story about the act of forgetting and the power of memory, a resonant tale of love, vengeance, and war,” said the publisher. 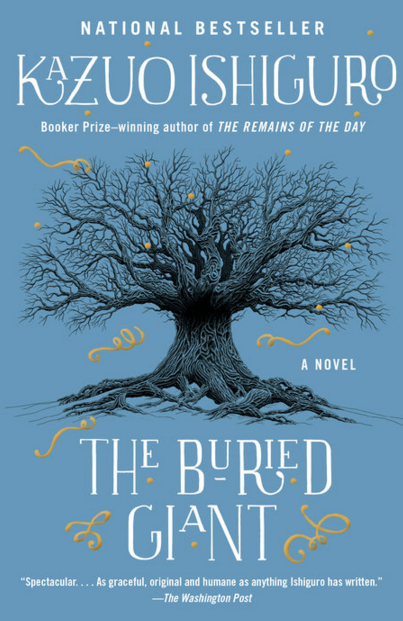 “The Buried Giant” has been listed as one of the best books of 2015 by The Washington Post, The Chicago Tribune, The San Francisco Chronicle, USA Today, The Huffington Post and National Public Radio, among others. 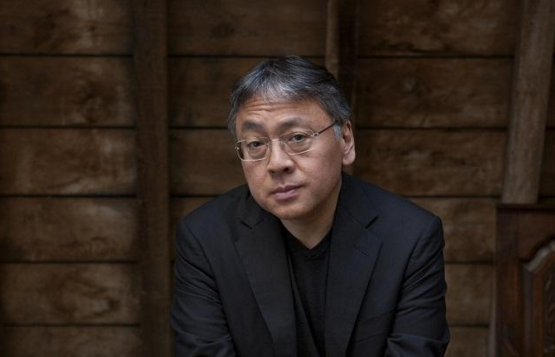 Ishiguro’s seven previous books have won him wide renown and numerous honors. His work has been translated into more than 40 languages. Both “The Remains of the Day” and “Never Let Me Go” have sold more than one million copies, and both were adapted into highly acclaimed films. Born in Nagasaki in 1954, Ishiguro came to Britain at the age of five. He is the author of six novels: “A Pale View of Hills” (1982, Winifred Holtby Prize), “An Artist of the Floating World” (1986, Whitbread Book of the Year Award, Premio Scanno, shortlisted for the Booker Prize), “The Remains of the Day” (1989, winner of the Booker Prize), “The Unconsoled” (1995, winner of the Cheltenham Prize), “When We Were Orphans” (2000, shortlisted for the Booker Prize) and “Never Let Me Go” (2005, Corine Internationaler Buchpreis, Serono Literary Prize, Casino de Santiago European Novel Award, shortlisted for the Man Booker Prize). “Nocturnes” (2009), a collection of stories, was awarded the Giuseppe Tomasi di Lampedusa International Literary Prize. In 1995, Ishiguro received an OBE (Order of the British Empire) for Services to Literature, and in 1998 the French decoration of Chevalier de L’Ordre des Arts et des Lettres. He lives in London with his wife and daughter.